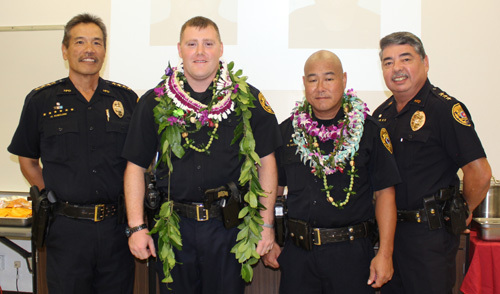 Officers Joshua Gouveia and Garrett Hatada were both awarded the Police Cross this morning by Police Chief Harry S. Kubojiri. The award was presented as a result of both officers having sustained gunshot wounds in connection with an incident that occurred earlier this year. 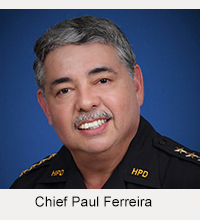 During the presentation, Police Chief Harry S. Kubojiri remarked how one of Officer Gouveia’s first thoughts after getting shot was his concern for the safety of other officers at the scene. 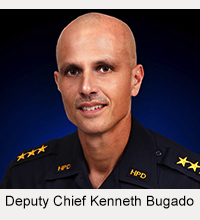 Chief Kubojiri also related how Officer Hatada fired at the assailant in protection of others at the scene and did not mention his own gunshot wounds until several minutes later.